The most fun I’ve had, so far, within the realm of wedding planning was putting together our save-the-dates! There was something about watching Robby hold a piece of paper that had our official wedding date on it that made my heart flutter. Before we mailed out our special deliveries, I had a few questions when it came to save-the-date protocol. I’ve rounded up some quick etiquette tips to ensure your save-the-dates are up to par! 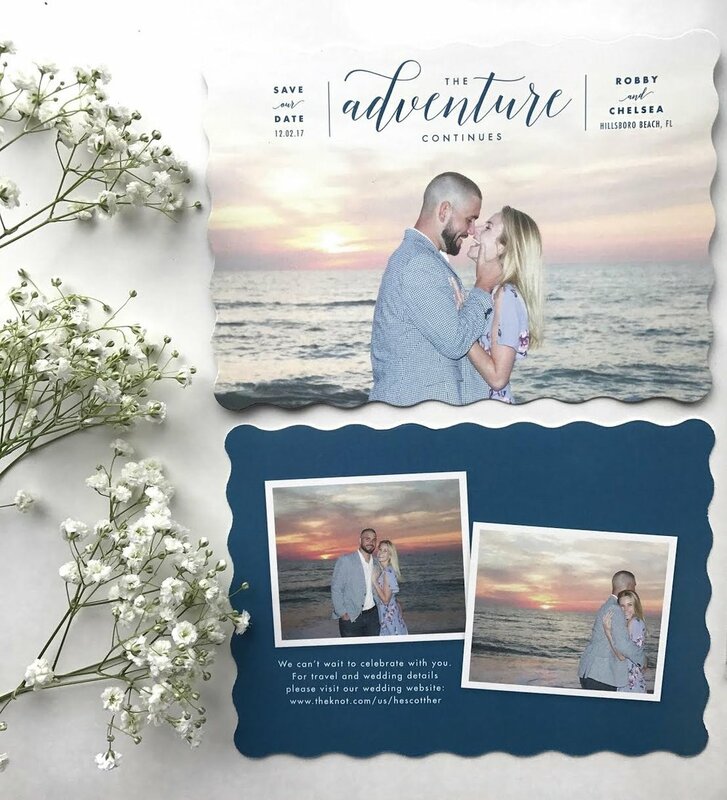 This is your wedding so you don’t have to do anything that you don’t want to, however, sending save-the-date is a courtesy to your guests so they can properly plan to attend your special day. When taking travel arrangements and busy schedules into consideration, it is highly suggested to notify your guests ahead of time so they are ensured to be present to celebrate your special day! Rule of thumb is to put those bad boys in the mail six to eight months prior to the ceremony that way your guests have plenty of time to request time off work and book travel accordingly.If your ceremony falls on a holiday weekend or is a true destination wedding if would be best to spread the news even earlier to avoid hotel and flight price increases. It may sound silly but once you put those suckers in the mail there is no turning back. So, before you pass out save-the-dates like free candy, make sure that you and your significant other have agreed upon a guest list as well as taken your budget into consideration. Before you seal the envelope remember that a save-the-date is sent to those who you can’t imagine your wedding day without. Don’t freak out if you don’t have all the details confirmed! The save-the-dates should simply include; the couples name, the wedding date and the location. It is also ideal to include that formal invitation is to follow. Also, if you have a personalized wedding website up and running by the time you send out your save-the-date include the URL and encourage the guest to check the site for further details and updates. Photos: Taken The Night I Said YES! To design your save-the-date or invitations for any special occasion head to minted.com to get started!